Use the form above to get directions to our location. You can use the search box inside the map to search for nearby restaurants, attractions, or sites of interest near our location. 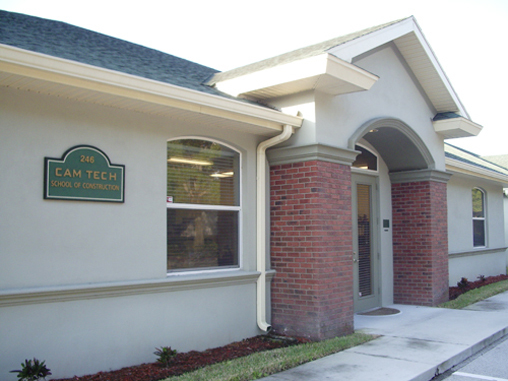 CAM TECH SCHOOL of CONSTRUCTION is located 246 Crystal Grove Blvd, Lutz 33548. We are open Monday – Friday from 8:00am to 5:00pm. Please stop by and visit our friendly and knowledgeable licensing consultants or see what’s new in the book store. Call us at 800-875-PASS.